Designed with extra-long 260mm slots allowing for a wider range of bread types to be toasted, avoiding the problem of untoasted areas sometimes encountered with Artisan bread slices such as sourdoughs. Ideal for Artisan, oversized sliced breads and homemade loaves, the new Long Slot Lite Toaster benefits from a high wattage for faster toasting and Dualit's patented Perfect Toast Technology for consistent, golden brown slices. A patented Peek & Pop function allows for checking without cancelling the timing cycle for even greater browning control. Extra long slots give you the flexibility to toast artisan breads, different shaped loaves and oversized slices without the problem of untoasted areas that don't quite fit. 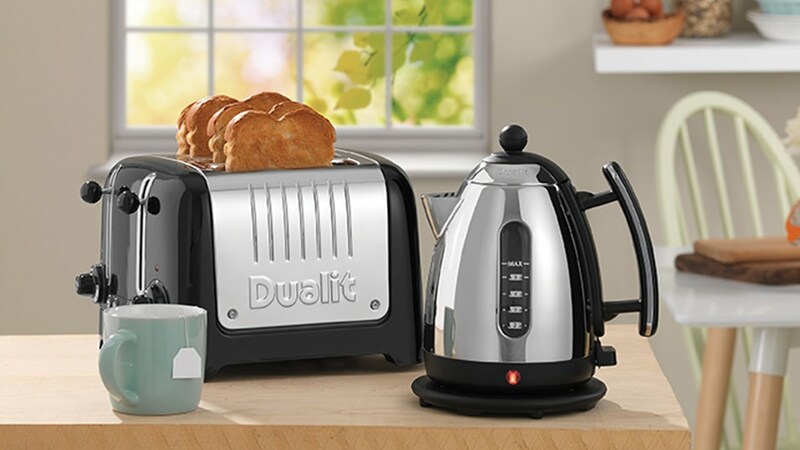 Unique to Dualit, this feature allows you to check on your bread without stopping it toasting. The Long Slot Lite Toaster can be used to gently heat croissants, buns, naan and pitta breads with the included warming rack and also features a Bagel function, where one side is toasted while warming the other. As well as having extra-long slots, the Toaster benefits from extra-wide 36mm slots allowing for larger items such as English Muffins to be toasted and a Defrost cycle for frozen breads.